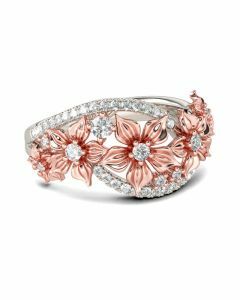 Elegant and beautiul,this flower ring will capture your heart at first sight! 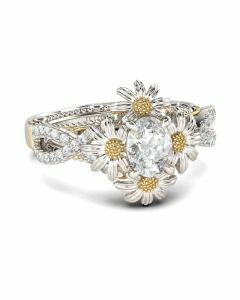 Flower is one of the most popular design elements in jewelry. 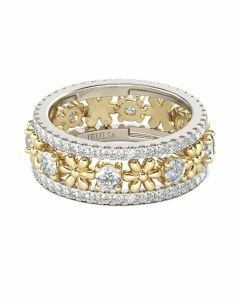 It's often related with beauty,vitality and happiness, like your love. 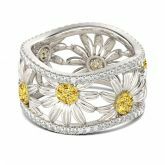 Crafted in two tone sterling silver, sculptured in six sunflowers in the cut-out shank of the ring. 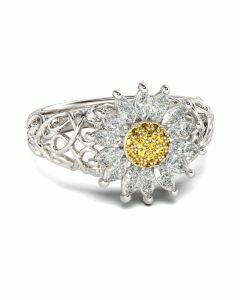 Every sunflower is set with fancy yellow stones to make the sunflower more lively. 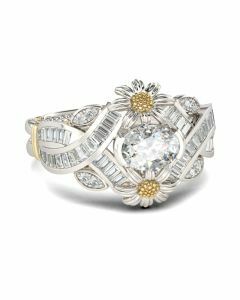 With the glistening curved shank, the ring will show a very beautiful and unique look on your finger. 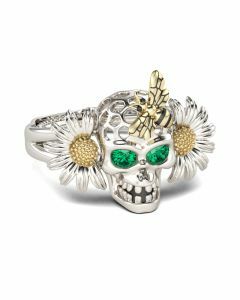 Treat yourself a holiday gift with this masterpiece!